North Korea this week blasted its 20th and most fearsome intercontinental ballistic missile (ICBM) into space. This shattered not only the illusion that the country may be softening its nuclear stance, but also any hope of imminent diplomatic progress with the US. Hwasong-15, fired just before dawn on Wednesday, was the first such missile test conducted in two months — the longest hiatus this year. Following two launches in July, it represents the third successful launch of an ICBM that could — in theory — reach the US mainland. More alarming than the tests’ consistent success is the rapid upgrading of weaponry. Images of this week’s rocket show marked improvements over its predecessor, including a rounder nose cone (to accommodate multiple warheads), an extra engine for its first booster stage (to increase the range of a strike) and a larger transporter launcher. Equipped with these new features, Hwasong-15 soared to a record height of 2,800 miles. South Korean officials, who conducted a swift “precision missile strike drill” six minutes after the blast to prove it can take out North Korean launch sites, said that Kim’s nuke program, far from languishing, has progressed more quickly than expected. While it has not yet demonstrated an ability to accurately aim the missile or to master the re-entry phase, Cho Myoung-gyon, the South Korean unification minister, believes the North could complete its program in 2018. Pyongyang’s latest test drew an atypically muted response from President Donald Trump, who this summer had threatened to rain “fire and fury” on the diplomatically isolated nation if it continued to provoke the US and its allies. “I will only tell you that we will take care of it,” was Trump’s cryptic response to the White House press. With each new test, the effectiveness of the US’s deterrence strategy appears more questionable and the possibility of a bleaker alternative edges closer. Should nuclear war erupt, the policy think tank Nautilus Institute estimates that a million people could die on the first day. Even if the North used only conventional warheads in a missile attack, casualties would still top 100,000, according to a Congressional Research Report. It’s a risk that most foreign policy experts have said the US would never take. Watch the videos below for an overview of the current crisis and a close look at North Korea’s most advanced iteration of the ICBM. 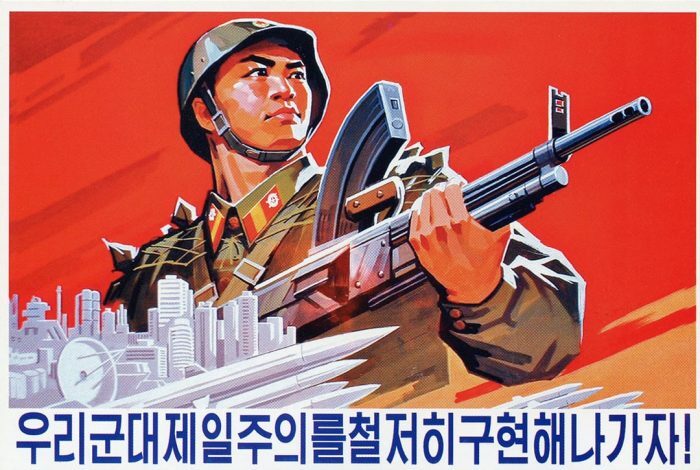 Related front page panorama photo credit: Adapted by WhoWhatWhy from Kim Jong-Un (news official / YouTube).